Ralph Lauren Home's new collection, the Left Bank offers rich, bohemian-inspired furnishings that feel as though they were just snagged at a flea-market on the Left Bank in Paris. The eclectic mix of textures and styles help give this line the one-of-a-kind appeal that we all seek when designing our own spaces. 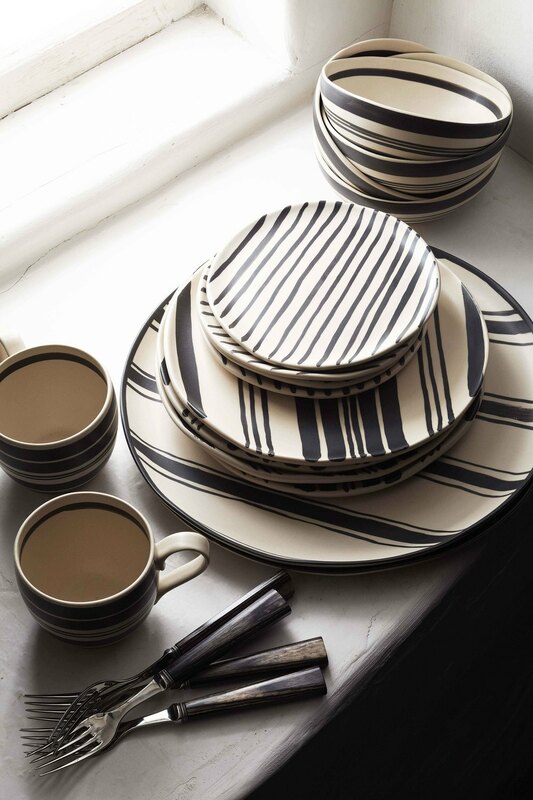 Loving the Wythe dinnerware set (above). Hurry up and check out the rest of the collection on RalphLaurenHome.com.